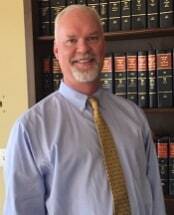 Located in Ringgold, Stagg Law Firm is a general practice law office that has served Northwest Georgia since 1991. I am attorney Lawrence Stagg, and I help people and businesses who are dealing with serious legal problems or need my guidance to prevent future litigation. I understand how important your legal problem is. The result of your case could affect your family, your possessions, your health or your freedom. I take each of my clients’ cases very seriously, and each aspect of their case gets my personal attention. I have successfully represented hundreds of clients in my more than 25 years as a lawyer, frequently delivering large court verdicts and settlements. Smart business owners know that the right legal preparation can minimize the risk of going to court later. One of the most important steps a new business can take is to consult an attorney about proper formation. I help new business owners choose a form that best fits their ownership structure and business plan. Stagg Law Firm provides the deep experience and skill of a large law firm, along with the client focus and personal attention of a solo practice.